Sudden Strike 4 Steam Beta Test is Available Now! Kalypso Media has announced the Sudden Strike 4 Steam Beta Test which started on 22 May 2017. The beta test will run until the game’s full release on 11 August 2017. To participate in the Sudden Strike 4 Steam Beta Test, you simply need to preorder the game on Steam. Preordering the game will also give you free access to the original Sudden Strike Trilogy. It will include, for the very first time, new cloud saving support. So what’s included in the beta? Players will have access to the game’s tutorial, three single-player missions (Battle of the Bulge, Stalingrad and Balaton Defensive Operation), as well as two multiplayer/skirmish maps. Beta players will also have exclusive access to the Beta Test Forum in Steam where feedback and bug reports can be submitted. The Sudden Strike 4 Steam Beta Test is available in the following languages: English, French, Italian, German, Spanish, Russian, Polish, Korean, traditional Chinese, and simplified Chinese. 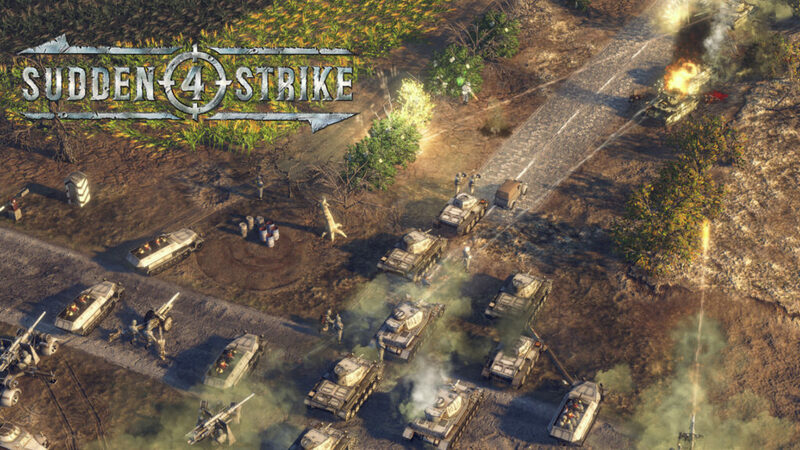 Sudden Strike 4 will also be available on Playstation 4. Sudden Strike 4 Release Date Confirmed! Sudden Strike 4 release date confirmed by Kalypso Media! The real-time strategy game is all set to be released on Friday, 11 August 2017 worldwide on Steam.